More FishReady for the next goby? 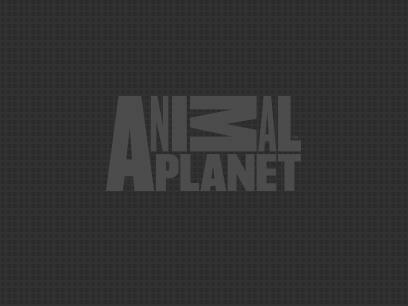 Check out the Orange Spotted Shrimp Goby., Back to Gobies — Overview., Open the [b]Main Menu[/b]. The head and sleek body of the Neon Goby, also known as the Neon Blue Goby, are dark blue with a striking horizontal light-blue stripe on each side beginning above the eye and running the entire length of the body. It should be housed in a 30 gallon or larger aquarium. It is a cleaner species which will service tank mates and help control some diseases. Rarely will it become aggressive towards other fish, but it is territorial, and will fight with its own kind unless they are a mated pair. It is common for the Neon Goby to spawn while in the aquarium, laying its eggs in a crevice or empty shell. It feeds on a variety of live and frozen brine shrimp, frozen mysid shrimp, table shrimp, and frozen food preparations for carnivores. 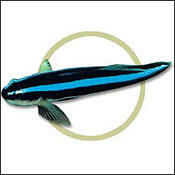 If kept in a reef tank, the Neon Goby should be fed once per day.